Thank you for visiting this page- you’re likely wondering, why Hashimoto’s Protocol? What’s in it for me? The Hashimoto’s Protocol is a compilation of action steps, and a roadmap that will help you navigate your healing journey. While there are different root causes to Hashimoto’s, I’ve found that there are steps one can take that can help 80% of people feel significantly better! These steps involve addressing and nourishing three organ systems that are impaired in Hashimoto’s; the liver, the adrenals and the gut! 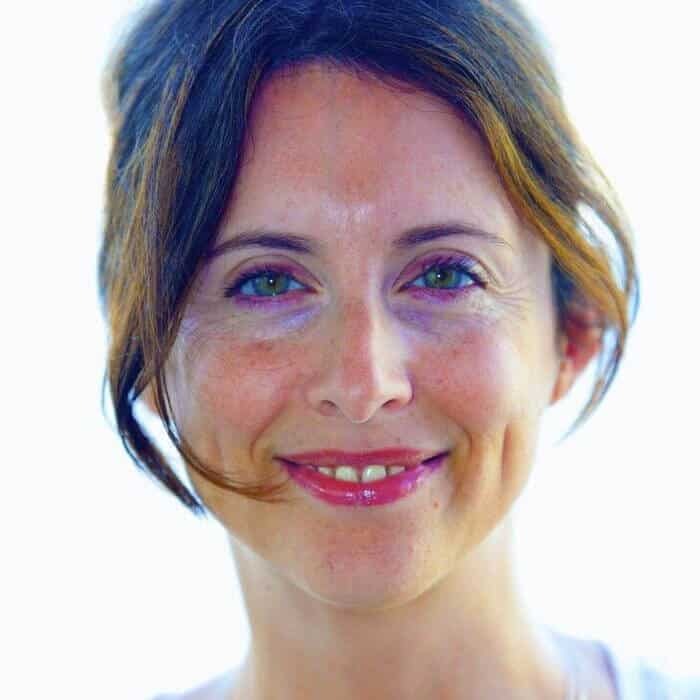 I’ve developed three Fundamental Protocols-one for each of the impaired organ systems- that I’ve used with my clients to reverse symptoms in as little as 1-2 weeks. The Fundamental Protocols comprise the first part of the book. The second part of the book contains Advanced Protocols- these protocols are for the 20% or “complicated” cases and can be layered on top of the Fundamental Protocols or used to follow the Fundamental Protocols to further reduce symptoms, thyroid antibodies and your need for thyroid hormones. 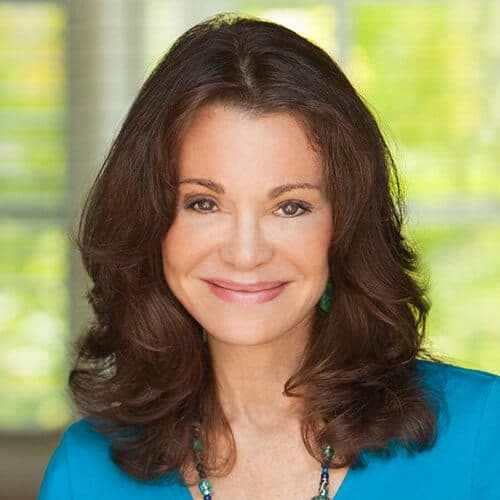 I have assessments that take you through potential root causes and direct you towards the appropriate Advanced Protocol (the advanced protocols focus on hormone optimization, overcoming traumatic stress, eradicating chronic infections, optimizing nutrition and clearing toxins). I hope that you find the help that you’re seeking in Hashimoto’s Protocol. I’ve put a lot of my heart and brain within the pages of this book to give you a roadmap you can use on your journey to recover your health! Discover why top health experts recommend Hashimoto’s Protocol, and how this information can change your life starting today. Feel like the “healthiest” sick person you know? When I tell people I used to have chronic fatigue, bald spots, panic attacks, depression, and acne, they’re surprised and almost in disbelief. Others see me as happy-go-lucky and seldom stressed, and I get compliments on my hair, skin tone, and fitness level. But it hasn’t always been that way. I used to feel so alone, and it felt like I’d never get better. I hurt all over on every level. It felt like I was getting nowhere on my own. I’d wasted thousands of dollars on doctors, and I was still undeniably sick. I was overwhelmed and began to lose hope. Can you relate? Do you feel like you’ll never get better? Is your weight creeping up, no matter what you do? Is your energy at a zero, and it feels like it can’t get any worse? Have your antibodies skyrocketed, and you don’t know what to do next? Are you short-tempered with loved ones despite your best efforts? Has brain fog stolen your ability to think? Do family and friends misunderstand that you’re trying to get better? Is your hair thinning all over and you’re worried you won’t have much left? Has your anxiety taken over your life? Have you been to numerous doctors, allergists, endocrinologists, even natural doctors, who don’t know what to do with you? I’ve experienced all of this, and it stinks. I nearly lost my relationship with my husband over this complex disease. My friend circle grew smaller and smaller, and I was afraid to leave my house for fear of getting “glutened” beyond the safety of my home. My skin was so dull, and cystic acne plagued me. My lion’s mane dwindled to a tiny ponytail the size of two pencils. I was EXHAUSTED! People thought I was anorexic because I was so gaunt. My allergies got so intense that I was reacting to everything indoors and out. I was dependent on antihistamines, steroid nasal sprays, and eye drops. I was a real live, sick person struggling with my health just like you. But I’ve recovered my health, and I want to help you because I know how debilitating it is to be sick. It might feel like you’re too far gone to get help…or that none of these weird natural strategies will ever work…or you’ve tried everything and are still the “healthiest” sick person you know, but I’ve got great news. There’s a way to recover your health. I’ve narrowed down what works, and now it’s available for you. Hashimoto’s Protocol is a targeted approach that teaches you how to feel better in as little as two weeks and how to eliminate symptoms and recover your health in 90 days. I hope this guide empowers and strengthens your resolve. You’ll discover the exact protocols that work the BEST and what gets people better the QUICKEST so you can recover your health! There are two parts in this book: The Fundamental Protocols and The Advanced Protocols. This section is for people who want to know exactly what to do to feel better. What I share will help no matter what triggered your condition. If you’ve been suffering for a long time and feel exasperated about what to do next, The Advanced Protocols is just for you. It includes a series of assessments that helps you determine your unique root causes and gives you an actionable roadmap to eliminate them. Optimizing Thyroid Hormones — four unique strategies for addressing your thyroid hormone level and ensure you’re on the right medication. Mastering Nutrition + Nutrients — discover whether outstanding nutrient deficiencies and food reactions could be interfering with your recovery. Overcoming Traumatic Stress — long-term strategies to help you overcome traumatic stress in your life. Infections — healing from infections could be the missing piece to your healing wall. Ready for the plan to take back your health? Order your copy of Hashimoto’s Protocol today. When you’re dealing with an autoimmune disease like Hashimoto’s, your body is exhausted. It’s putting up quite a fight internally, and it’s our job to set the body up for success by strengthening and nourishing our organs so it can repair itself. You’ll have access to the Personal Trigger Assessments that will help pinpoint your potential Root Cause areas. The Assessments help lay the groundwork you need to get started. You can either do them at the beginning of The Fundamental Protocols section as we address the nutrient deficiencies, food sensitivities, gut imbalance, toxins and learn how to become more resilient to stress. Or you can do it afterward when we proceed with The Advanced Protocols. The Assessments continue throughout the second part of the book and are a key component to recovering your health. 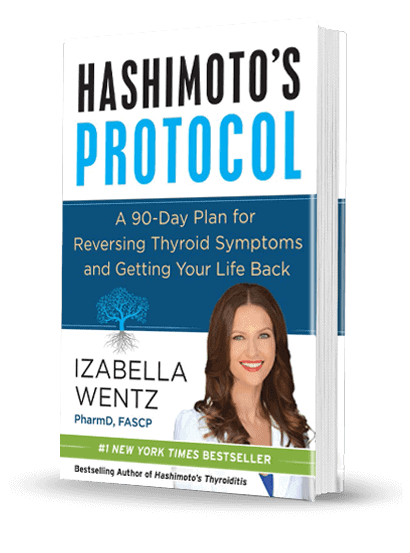 Izabella Wentz, PharmD, FASCP is an internationally acclaimed thyroid specialist and licensed pharmacist who has dedicated her career to addressing the root causes of autoimmune thyroid disease after being diagnosed with Hashimoto’s Thyroiditis in 2009. 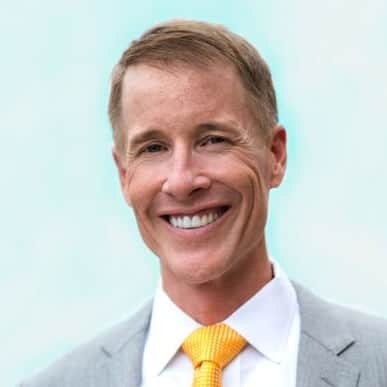 Dr. Wentz is the author of the New York Times best-selling patient guide Hashimoto’s Thyroiditis: Lifestyle Interventions for Finding and Treating the Root Cause and the forthcoming protocol-based book Hashimoto’s Protocol: A 90-Day Plan for Reversing Thyroid Symptoms and Getting Your Life Back. 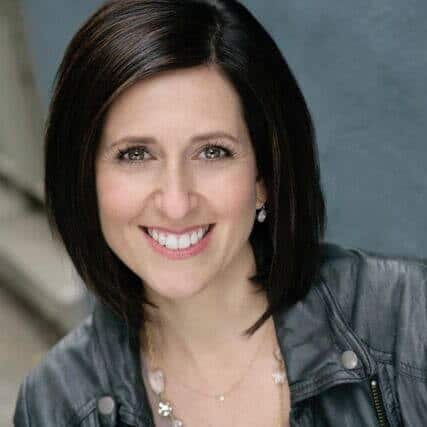 As a patient advocate, researcher, clinician, and educator, Dr. Wentz is committed to raising awareness on how to overcome autoimmune thyroid disease through The Thyroid Secret Documentary Series, the Hashimoto’s Institute Practitioner Training, and her international consulting and speaking services offered to both patients and healthcare professionals. Discover how to implement these step-by-step protocols and recover your health. Order your copy of Hashimoto’s Protocols, today.